And now a new study finds that a significant number of these physicians report notable gaps in their knowledge of cancer treatment options. "Primary care physicians may be involved in cancer care earlier than we thought. 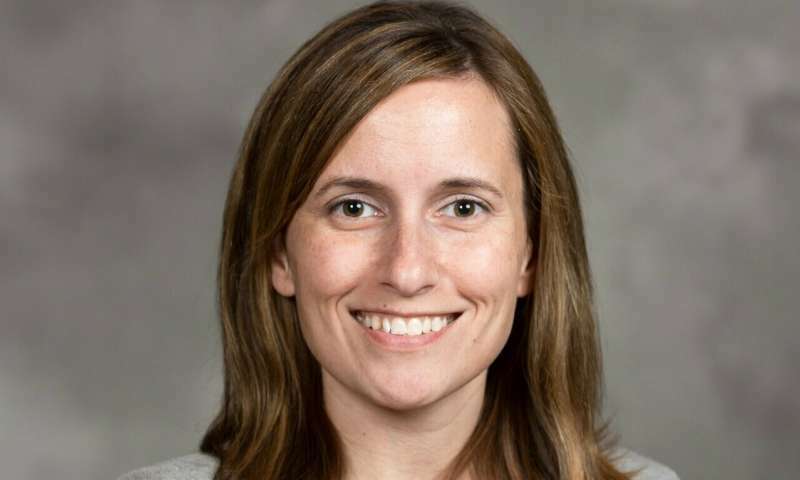 If we are going to promote their involvement, we may need to start doing that earlier, around the time of initial treatment, and ensure PCPs have the information they need to effectively participate in the decision-making process," says Lauren P. Wallner, Ph.D., MPH, a health services researcher at the University of Michigan Rogel Cancer Center. Wallner and colleagues from the Cancer Surveillance and Outcomes Research Team surveyed 517 primary care physicians who were linked to 1,077 women treated for early stage breast cancer. Physicians were asked whether they had discussed surgery, radiation or chemotherapy options with their patients. They were also asked how comfortable they were discussing these issues and whether they felt they had the knowledge to help with treatment decisions. Researchers found that 34 percent of physicians had discussed surgery options with their patients, 23 percent had discussed radiation and 22 percent had discussed chemotherapy. Physicians who reported more comfort with cancer treatment discussions were more likely to have these discussions. But, among those physicians who reported involvement in surgery decisions, 22 percent said they were not comfortable having that discussion and 17 percent said they did have the necessary knowledge. Similar findings played out for radiation and chemotherapy. Results are published in Cancer. "We found that among those involved, some PCPs felt they did not have the knowledge necessary to participate in these treatment decisions. If they're going to be involved, we need to find a way to make sure they have the knowledge to do so and we support them in a way that ensures they're confident and able to do so," says Wallner, an assistant professor of general medicine and epidemiology at U-M. The study follows up on a 2016 paper that found one-third of breast cancer patients said they consulted their primary care doctor about treatment options. "We were all quite surprised that many patients said PCPs were involved. This work stems from those findings. We wanted to understand what decisions providers were involved with and how they perceived their involvement," Wallner says. The study did not address what patients discussed or how detailed those discussions were. And as such, Wallner emphasizes that the nature of these conversations and how they influence treatment choices is not yet clear. But, she says, helping patients better understand the risks and benefits of treatment options is a good thing. For patients who have a longstanding relationship with their primary care doctor, that physician may have a good grasp of the patient's values and preferences and may be able to help the patient navigate these decisions. "This is an emerging challenge for primary care providers," Wallner says. "Inundating them with detailed information about all possible cancer treatments is not feasible. But these providers are likely to start becoming even more involved with the more prevalent cancers, such as breast or prostate cancer. They need to have sufficient resources and support to be prepared for these conversations."